How Herb Kelleher, SW AL changed Aviation forever !!! Famous Founder Topics: Low Fares, Quick-Turn, Secondary Airports, 1 Model = EZ Maint, People, Luv, Boss’g, Ideas, Field, Focus, SW AL Stats. Herb Kelleher is the co-founder of Southwest Airlines – the largest “domestic” carrier in the USA. He came up with the idea of Southwest Airlines on a napkin. He drew a triangle connecting San Antonio, Dallas, & Houston, then showed it to his Co-Founder (who left the company later), with the idea of offering “low-cost” air travel to the people of Texas. That’s the start of what made him a Famous Founder. Passing. In January 2019, one of the greatest Commercial aviation pioneers, Herb Kelleher passed away. Herb is the main person behind Southwest – one of the most successful low-cost airlines in the world – 45 year profitable. Creating a unique work environment, where he and employees around him have fun – yet maintain the highest standard of professionalism. That is why the Dept of Transportation ranks Southwest #1 in Customer Satisfaction – the airline receives the least amount of customer complaints since 1987. Legacy. To honor his legacy, we would like to present the top 5 things that Herb Kelleher influenced in the world of commercial aviation. #1. Low fares make it easier for everyone to Fly. Even tho’ it was not the first low-cost airline in the USA, it is the only one who has managed to survive & thrive all the economic turmoil throughout the years. Southwest carries the most domestic passengers and is also the largest low-cost airline in the world. The planes would depart the airport as quickly as possible (avg 15 min) , as soon as it arrived from another flight. For the simple reason that the more time the aircraft spends in the air – the more profit you can get. Southwest was the first carrier to use only one type of aircraft in its fleet – the Boeing 737. Thus, reducing the time it took to maintain its fleet and train its pilots, engineers and cabin crew. The business of business is people. The values of Southwest are: People #1, Simplicity #2, Humor, #3. Service #4, humanity #5 number four. If you don’t treat your own People well, they won’t treat Customers well. We teach each of our managers to sit down – at least once a week – with all of the people who work for them, so if they have any suggestions, they can make them in person and discuss. SW put in the first Profit-Sharing plan in the airline industry. Our people were very aware that they were owners and will profit from their good work. 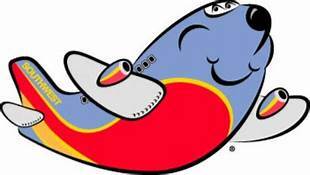 There’s a reason you associate LUV with Southwest, besides the Heart logo. It’s because of the experience they have shown the public, and the company culture that Herb created. Southwest has been voted “Best company to work for” Many people in the aviation industry hold Southwest as the high standard of company culture for employees. Southwest is the goal for many wanting to work for an airline. Herb built that culture – “put Employees first”, because they’ll treat the customer best. Foster a continuous exchange of ideas, whereby everyone feels free to get the info they need without having to dig through multiple layers. Ideas should be able to easily circulate up, down, & all around. Paperwork is the enemy. Yes, you need it, but you constantly have to fight to keep the volume down and simplify the information so that people can understand it readily. You need to exalt the people who come up with new ideas; they must be thanked, toasted ,lionized & rewarded for the ideas they’ve come up with – which are generally productive & constructive. We think that our management ought to spend time in the field – seeing what our employees & customers experience every day. So we have a requirement that each of our officers each quarter goes out into the field to act as a reservations agent, to load baggage, to dispatch airplanes, or whatever is required, and report back on what they did, what they found out, and how they can improve the job. SW decided – as a matter of policy years ago – that we wouldn’t do anything that wasn’t connected with the Airline business. We don’t know everything about everything. We know about one thing.” I have seen other airlines make mistakes, buying radio stations, hotel chains, rental car businesses, etc. We don’t want to get into thinking that we’re almighty because we’ve done pretty well in Airlines. And that’s still the policy today. Southwest is an example of a business that has succeeded in an industry where success doesn’t come easy. How did they do it? In the same way that all the other success do like. Walmart, Google, McDonalds, Subway, etc. They all used things like culture, people, innovation, humility & reward in the right way. For more Info, click on Famous Founder.